Okay okay, we know you've read it practically on every beauty or hair-care blog/website about the umpteen benefits of oiling your hair. And how it weaves magic on your hair—à la shinier, glossier and stronger hair! Nobody is alien to the fact that massaging your scalp with oil works wonders for your hair's moisture and growth, due to increased blood circulation. This in turn, boosts the health of your locks. So before you defend grandma's favourite hair-care weapon that you've grown up believing in, you need to read this. Oiling per se, is not that bad for your hair, no we ain't saying that. But there's a legit reason behind why it is not helping your hair as much as you think it is. According to Australian celebrity hairdresser Rod Anker, who is based in India — "I would never recommend putting natural oil directly on hair." Why exactly? Our scalp has a pH level which is controlled by the natural production of oil in our body. 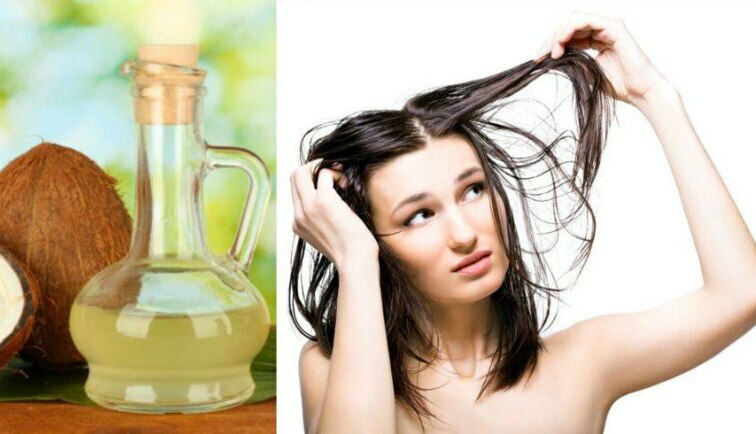 According to Anker, applying hair oil directly on the scalp blocks the hair follicles, which in turn messes its pH level. He says, "Hair loss is directly linked to the pH level of your scalp. So if your hair is dry or overly oily, you'll experience more hair loss." Not only that, the natural oil and water balance of our scalp gets jeopardised when we add extra oil to our scalp, especially if they are not water soluble. Anker says, "Natural oils are not water soluble. So when you wash them off, they still tend to leave a residue. Besides that, if you put extra oil on it, your body will stop producing natural oil." And that's the worst thing that you can subject your hair to. Stepping out in the blazing sun and air that is rife with pollutants, with hair that has this residue coating, can drastically dry out your hair. The heat from the sun fires up the oil layer, which in turn heats up the internal structure of the hair—sucking up all the moisture from the follicle! Even if you're not out, the residual oil remains clogs the follicles resulting in hair-fall. So while you are deceived into admiring a mane that visibly looks glossy, you don't know that its inner constitution is heavily degraded—equivalent to sandpaper. To quote him, "You've fried it internally!" He recommends using a water-soluble oil like linseed oil which is 60% natural, as a less-disastrous alternative, since it washes off easily. Grandma wasn't wrong when she devised this ingenious technique to ward off dryness in your hair, but the evolving times and external factors like pollution, preservatives-laced food, chemicals and treatments, have played a key role in making the benefits of a good 'ld oil massage— pretty much redundant. How exactly do we need to cater to our lack-lustre locks then, you'd be itching to ask. Scroll ahead. Don't stress on oil. It's the massage that actually makes the whole difference. Yes, no doubt that oiling provides extra nourishment and conditioning, but it's absolutely imperative that its usage is limited to an extent that leaves no residue. If massaging isn't your thing, using a wide-tooth comb several times all over the scalp will work just as fine. Slow, deliberate movements of your fingertips will work all the magic. Being rough in handling your hair may cause trauma to your hair-roots, adversely affecting growth. Be gentle! Never forget the back of the skull and nape area while you're massaging. Today's hectic lifestyle, and extended screen-time causes undue stress and stiffness in the neck. Not only does that screw your posture, it also restricts the blood flow around the scalp. Work on this area using your finger pads or the base of your palm. If you're opting for the conventional oiling method, then invest a lot of time and detailed attention to the type and quality of oil you're using. Jojoba, coconut, ghee, evening primrose or sunflower oil works wonders on thin, fine hair—while dry, coarse hair require richer oils such as olive, sesame or avocado. You can also use aloe-vera gel, flax seed gel, or herbal infusions for moisture. Cheers to happy, shining hair!